Easy-to-assemble Swiffer Duster attracts and traps dust. 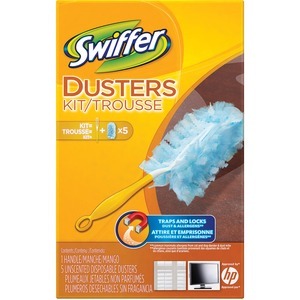 Simply attach one of the dusters to the handle, and you are ready to fight dust. Duster is safe for wood, ceramic, vinyl tile, electronics and other hard surfaces.